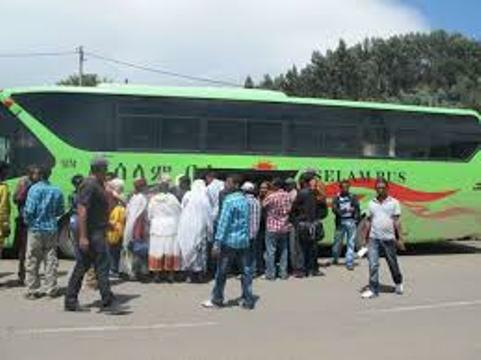 Ethiopia and Sudan have set to officially launch a public bus transport service between the two capitals as of next Sunday. Public Relations and Competence Issuance Director of the Ethiopian Transport Authority Tesfaye Belachew on Monday said the two neighbours have reached the final chapter in negotiations to begin the service on March 12 after eight years of strenuous efforts. The service is envisaged to ease the transportation of people and goods between the other countries besides boosting tourism and investment relations. According to the director, the 1490 km road transportation service will have a fare of $60 with a traveling time of two days. Data from authority indicate that Ethiopia is considering launching similar services with the capital cities of Kenya and South Sudan in the near future. An inland freight transportation service between Addis Ababa and Djibouti has been in place nearly for a century.